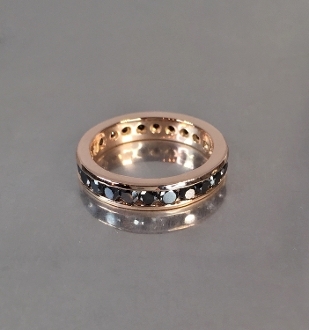 This black diamond eternity band is set in solid 14 karat rose gold. Total black diamond weight is approximately 2-2.5 ct.
Made to order. Kindly allow 3-4 weeks for production.